Texas Attorney General Ken Paxton is suing San Antonio, Texas, accusing the city of violating the state’s so-called sanctuary city law. The lawsuit, filed in Travis County District Court, stems from a December 2017 event in which San Antonio police found a trailer carrying 12 people from Guatemala that were suspected of being undocumented immigrants, the Texas Tribune reports. The driver was charged with smuggling people. Police interviewed the immigrants and ultimately released them without involving federal immigration authorities, MySanAntonio reports. San Antonio Police Chief William McManus justified the move by saying that his department didn’t block federal authorities at the scene, and that police had no jurisdiction to detain the individuals. Signed into law last year, Senate Bill 4 (SB 4) — also called the sanctuary city law — allows police in the state to ask anyone they detain about their immigration status, the Dallas Morning News reports. If jurisdictions violate the law, they can be subjected to up to $25,000 fines. The lawsuit against San Antonio seeks a $25,500 penalty for almost every day that the city’s immigration procedures violated Texas law, the Tribune reports. San Antonio Police Department policy states that officers won’t turn individuals over to Immigration and Customs Enforcement (ICE) unless the agency has a federal deportation warrant, the Texas Tribune reports. The state lawsuit claims that this rule limits immigration law enforcement. 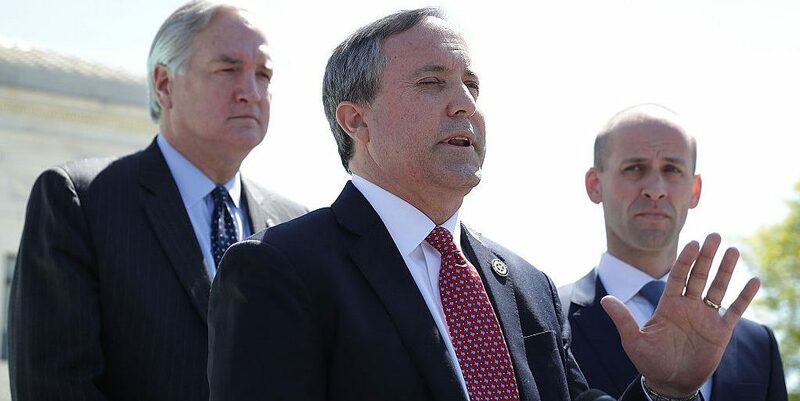 Paxton previously defended his decision, stating that the call was “situational, based on a fairly fluid situation on the scene,” adding that not every case would be handled in such a way moving forward,” MySanAntonio reports.